It’s everyone’s dream right? 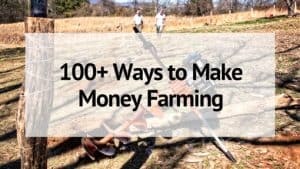 To be able to make money farming and quit your day job and live the good homestead life while supporting yourself and your family along the way. This dream may seem unattainable- but it’s not! With hard work, good planning, and living within your means you can earn easily earn enough money to create that life you want- a life where all of your income comes from your farm and you can quit working for others! The biggest thing to remember when you think about making money farming is to use everything. Use every part of a crop. Every part of an animal. Create multiple income streams so that not all of your eggs are in one basket. No matter how small the income stream may seem, all those little sales can add up to create one full time, livable income! 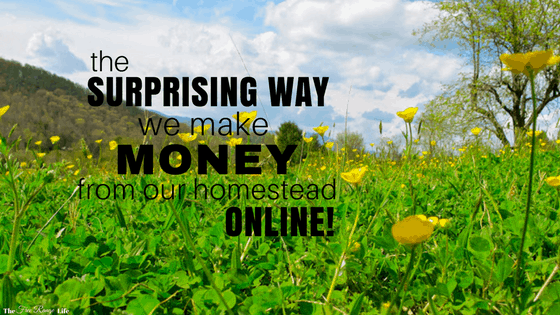 Is your dream to create a full time income from your homestead? 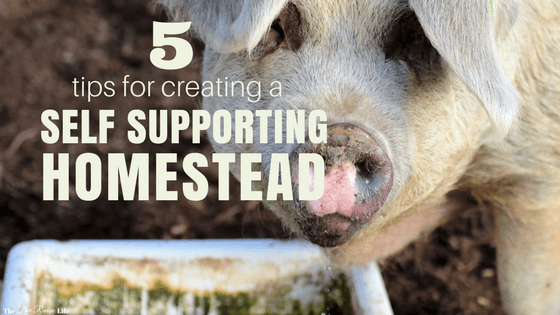 My Homestead Goal Planner can help! It walks you through prioritizing your life and your homestead goals and keeps you on track with good planning practices. After all, goal with out a plan is just a dream! Livestock is probably the most common way farmers make money from their land. And while animals have a few more expenses and a higher overhead, they usually bring in top dollar in terms of net income. 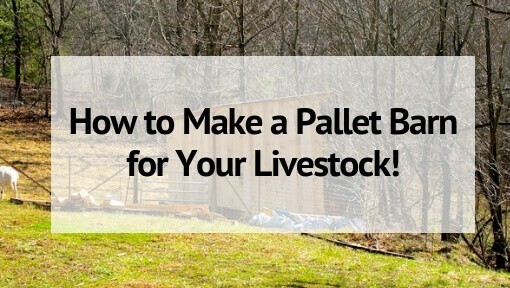 Here are just some of the ways you can make money with livestock. 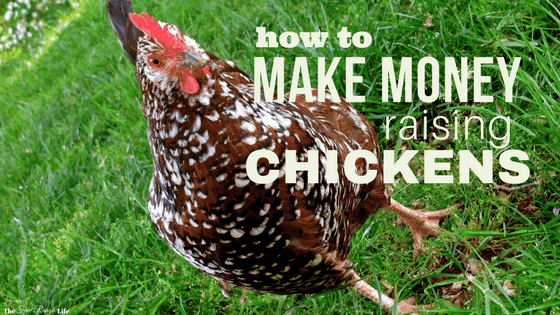 Raise meat chickens. Butcher and package them for sale. Raise other poultry– duck, quail, turkey, etc. for meat. Butcher and package for sale. Sell farm fresh chicken eggs. Sell laying hens. Lots of people don’t like to raise up chicks! Do you want a comprehensive look at raising ducks AND learn how to raise them for a PROFIT? Check out Duck Dough: The Complete Guide to Raising Ducks for Profit and turn your love for ducks into dollars! Sell off your older, unproductive hens for the stew pot. Raise and sell all of the above for all types of poultry! Don’t limit yourself to chickens- they aren’t the only option! Check out this article on how one homesteader makes $1000 per month with 15 chickens! Goat’s milk is nutritious to your skin too- sell goat’s milk soap and lotion. Not crafty? How about a rent-a-goat operation. New to Goats? 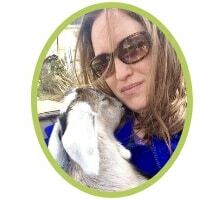 Sign up for my free Raising Goats for Beginners course! Or Check out The Busy Homesteader’s Goat Management Binder to help keep your herd organized! Got lots of land? How about raising and selling Beef? Grass fed is especially popular! How about pigs? Pastured Pork brings in a good profit. Is land an issue? Rabbits can be raised on very small lots. Got a pond or an aquaponics set up? Fresh fish can be a viable option for sales. Any of the animals I’ve talked about so far and be raised and sold alive as breeding stock. If you just love raising them animals this is one of the most rewarding ways to make money. Manure. Animals poop. It’s a way of life. If you find yourself overrun and can’t use it in your own gardens, bag up that manure and sell it to local organic gardeners. Hide/Leather. Like I said, use every part of the animal. If you are butchering animals for meat- see if you can sell their hides as another income stream. Don’t forget the bees! You can sell honey from your hives for top dollar. And all that Beeswax can also be sold to crafters and herbalists- or anyone wanting to make candles or salves. Maybe livestock isn’t your thing and you are looking for ways to make money that don’t include animals. 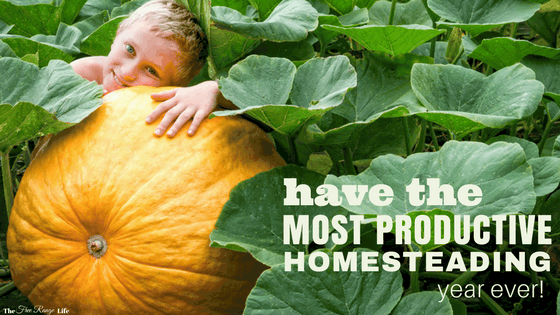 Chances are that along your homestead journey you have picked up a few skills. Or maybe you are just handy and can build and work like the best of them. 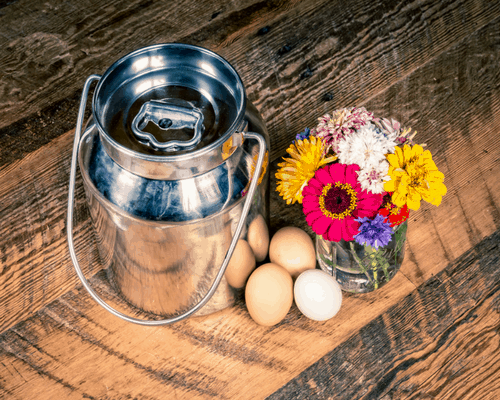 These ideas will get the creative juices flowing and help you figure out how to use your skills to make money with your homestead. Can you build? Good with plans and construction? Try offering your services to build barns or sheds to other less handy homesteaders. Fencing is a never ending job- if you have the tools and know-how why not offer to construct fences? Chickens are a big business. You can build backyard chicken coop or chicken tractors to sell to backyard chicken owners. Last year my dad paid to have the edges of a large pasture cleared so we could fence. Brush Clearing can be one more way to help bring in income. If you heat with wood chances are you might have invested in a log splitter. Why not make it pay for itself by splitting firewood for others. Take that tractor (or large mower) and put it to work by mowing or bush-hogging for pay? If you are DIYer living on a wooded lot you might have a saw mill on site- put it to good use and make lumber using their trees. Do you have a passion for horses? Giving Horseback Riding Lessons can be a viable option. 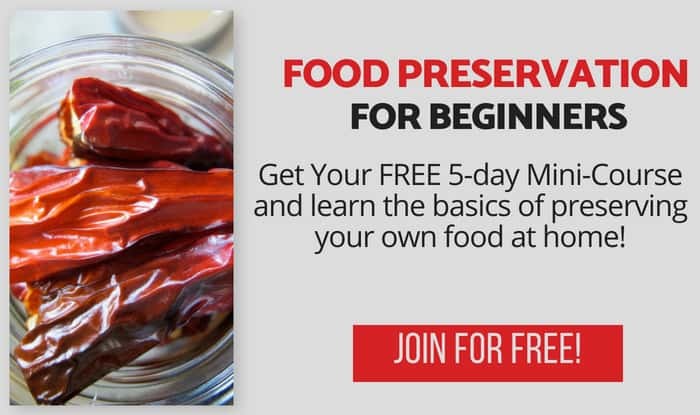 Teach Canning 101– preservation can be tricky so share your expertise! You can do this onsite, at your local community college outreach, or even online! 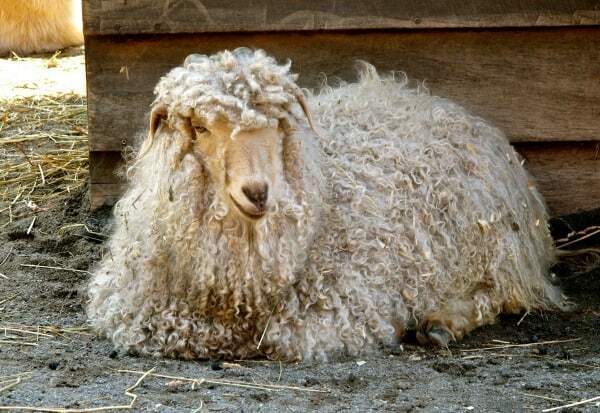 Maybe you own fiber animals and have the skills and tools to process the fiber at home? Fiber Processing is a very valuable service. Bee Removal Service– I know some teens that bring in money doing this. Plus side- you can usually keep the swarm and raise it yourself for honey! Love animals- Offer farm sitting so other homesteaders can go on vacation. Not too confident with livestock yet? Try just offering pet or house sitting services. Do you have an eye for design? Offer Garden Planning and Design services to help others create that perfect outdoor space. Maybe you have expertise or education in a certain area? Offer consultations for all sorts of things- erosion, soil, homestead set up, etc. Anything you can think of that would be of value to others who are just starting out! Your land can be a valuable asset when it comes to making a living. And not just for livestock or a large market garden. Here are a few ways to make your land pay for itself! Maybe you have large rolling pastures? Cut and cure hay to sell. You can also rent out your pastures to others- this is especially valuable to some horse owners. Do you have wooded, mountain, or other natural settings on your property? 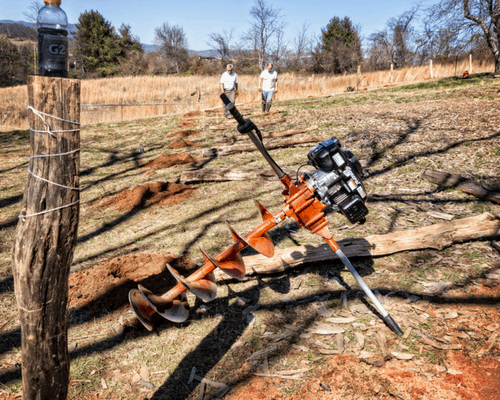 Create trails for hiking, biking, or even fishing on your property and charge an admission fee. While you are at it, why not set up some nice camping or RV areas for people to stay overnight? Do you have a large barn or arena? Outdoor gazebo? Why not offer your land and amenities for event rentals. Rustic weddings are very in right now! Are you an empty nester with a large house? Maybe you could turn your home into a quaint bed and breakfast? On the same note- rustic cabins are also popular. Lots of people want to get away from it all and hide in the mountains/country. Farm tours are very big right now! Why not show the locals your lovely farm! If you have the amenities why not turn your farm into a vacation destination? Visitors get to stay on site and learn how to work a farm- and you get paid! Petting zoos are popular at many agritourism locations. If you have friendly goats, chickens, sheep, etc. Let the visiting kids pet and see your lovely animals! This is particularly great if you house some exotics on site. Corn Mazes are cropping up all over the place these days and are a very popular fall destination. If you have the space- why not give it a shot? Selling at a farmers market is one of the most popular income streams for farmers. You aren’t just limited to garden veggies though. You can also specialize in fruits or flowers! Don’t want to set up at a market each week? CSAs are a great alternative and a great way to gain support from your community. Don’t want to harvest at all? Try a U-Pick operation. Strawberries, blueberries, even just a U-Pick farm where customers can pick some of everything can work. Orchard fruits are another option if you happen to have one on site. We love to go pick our own peaches, apples, etc every year. Greenhouse Exotics can bring in quite a bit. Lots of fruits, such as citrus, can be grown in greenhouses overwinter. And bring top dollar at the market. Pumpkin Patch. Who doesn’t love a pumpkin patch? Paired with a petting zoo and corn maze you can make a solid income in just a couple months. Do you start your own seeds? Why not start a few extra and sell annual garden transplants to other local gardeners. Same goes with perennial transplants– herbs, flowers, etc. Use your seed starting skills for profit! If you live in a “foodie” area, restaurants will often jump at a source for local culinary herbs. So get that basil, thyme, and rosemary growing! You can also sell Medicinal/ Dried Herbs for use in teas or herbal salves. Potted Houseplants– such as succulents, spider plants, even potted perennial herbs- can make a nice side income. You can sell trees/saplings to local homeowners or landscaping companies. Don’t have a big lot to grow in? Microgreens are very popular at markets and restaurants. Maybe your forte is in the kitchen. With the cottage laws cropping up all over you can legally sell from your home kitchen with very little red tape to get through. Be sure to check your laws before selling food items to the public. Everyone loves fresh baked goods right? At our market the cakes and cookies flew out of the tent each week! You can also offer catering services for special events- which makes a great pairing if you host events on site too! Is decorating your special power? Specialty cakes for weddings, birthdays. showers, etc are very profitable. 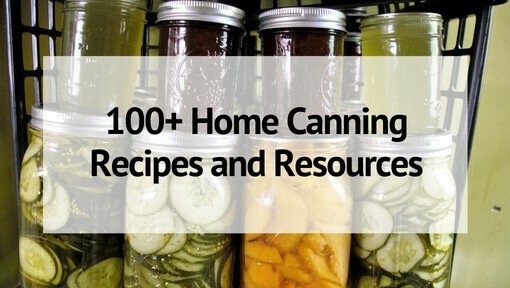 Selling home grown, home canned products can also be profitable. If you have extra pickles, sauces, or salsas, why not put them up for sale? Same foes for homemade jams, jellies, and preserves. Any condiment is an option. At our local market we had vendors selling flavored balsamic vinegar and fancy hot sauces! Do you keep guineas, peafowl, or even just chickens? Selling feathers bring in minimal income by feather jewelry can bring in a lot more. I sell earrings from guinea feathers! Remember that fiber processing? Why not offer to take the fiber farther and sell fiber bats. Or even farther and sell spun yarn? How about knit or crochet that yarn into something? Or felt your fiber into a finished work of art? Offer all of these above and you can multiple income streams from one item [fiber]. Are you a master with wood? Why not sell hand turned wood items? 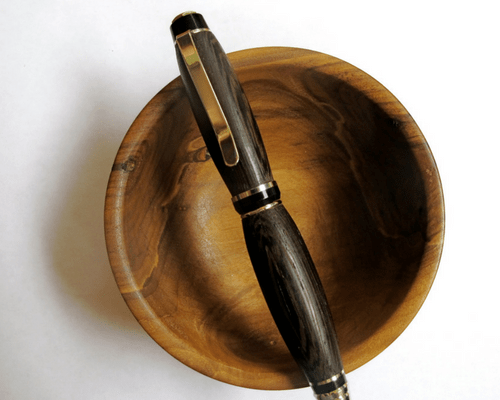 Bowls, pens, rolling pins, platter, art! Same goes for wood carving– you can carve walking sticks, plaques, knife handles, anything! Making specialty items such as handmade wood furniture or toys can also be profitable. You can even use free wood such as wooden pallets to create recycled wood art– signs, planters, even furniture! Build Bee Hives– top bar hives are fairly simple to make and you can customize them for each customer. Take your herbs and beeswax and create all sorts of salves and ointments. You can sell them locally at the market or even online in places like etsy! It’s totally possible to be your own boss and make money farming! Wonderful article, hopeful and uplifting, thank you! Yes it was…thanks … how do pay taxes..? And other expenses a month if not working ??? And pay for animals..! Etc?? One income stream you missed is worms. Worm compost, as bait, worms for people to start their own bins, etc are all good was to grow income. Best thing is, worms pretty much take care of themselves with just a little food. I plan to sell some soon, and considering they are going for $40 a lb locally and $20 on Amazon, it’s a pretty good income stream. Worm compost sells for about $8 a lb. As you said, process further into compost tea and sell for $10 a gallon. I also use worm compost as organic food for my hydroponics. Never had so many tomatoes! The site can even be rented for videographing a cooking video series. Hello. Depending on your area, worms can be profitable, as well as self-sustaining. As said above, they don’t require much food, or space. Mushrooms are also lucrative, as well as an herb or flower garden. You can sell berries and fruits. You can get into making herbal teas and crafts to sell. You could blog about it, as well. If your parents agree, you could get a trio of quail (two hens, one male), and raise for eggs, meat, and you can probably sell the manure. They won’t need a lot of space, and their small size makes it easier it feed them. I hope this helps, and I’ve translated it into Igbo below. Hopefully that is the language you speak well, as Nigeria didn’t come up on Google Translate. Nnọọ. Dabere na mpaghara gị, ikpuru nwere ike ịba uru, yana ịkwado onwe gị. Dịka e kwuru n’elu, ha anaghị achọrọ nri dị ukwuu, ma ọ bụ ohere. Mkpụrụ osisi na-enyekwa ụgwọ ọrụ, yana ahịhịa ma ọ bụ ubi ifuru. Ị nwere ike ere tomato na mkpụrụ osisi. Ị nwere ike ịbanye n’ime ọgwụ na ịzụ ahịa. Ị nwere ike blog banyere ya, yana. Ọ bụrụ na ndị mụrụ gị kwenye, ị nwere ike ịnweta tril nke quail (hens abụọ, otu nwoke), ma bulie maka àkwá, anụ, na ị nwere ike ire ere. Ha agaghị achọ ọtụtụ ohere, obere obere ha na-eme ka ọ dịkwuo mfe inye ha nri. Echere m na nke a na-enyere aka, ma m sụgharịrị ya na Igbo n’okpuru. Olileanya nke ahụ bụ asụsụ ị na-asụ nke ọma, dịka Nigeria adịghị abịa na Google Translate. If your purpose is to stimulate ideas and give people hope your article has met its goal. Unfortunately your discussion is so general and naive in the economic world out there that I am afraid those individuals who cannot afford to lose a penny may lose what they cannot afford. Having spent 40 years in the agricultural industry in California as a farmer, manager, land owner, product developer, economic analyst and real estate investment advisor I have seen many crops come and go. Assumptions and forecasts in agriculture are subject to so many uncontrollable variables that such an undertaking carries high risks. The greatest contribution and control someone has is their labor and commitment. Every farm product and commodity is full of labor expenses and that is how the individual can remain competitive. But it is not easy, not immediate and not a sure return. Like any endeavor you should study, go out and talk to people, review every article on the internet, profit from other people’s mistakes and see who is successful and why before you spend a penny. Am I stating the obvious, am I too general? I just want to point out that there is no easy, fast, sustainable endeavor out there than can work without your hard work and commitment, be it in agriculture or any industry. That said, there is nothing more rewarding than farming and producing food for yourself and others. Good luck out there. Tree sap (like maple) for syrup! !